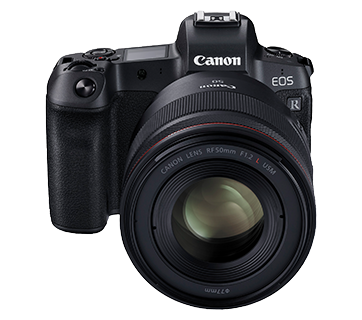 Launched as Canon’s First Full-Frame Mirrorless Interchangeable Lens Camera with built in EVF, the EOS R features the breakthrough in mount technology for high-speed communication between lens and camera. The DIGIC 8 processor not only enables the camera to support new features such as in-camera Digital Lens Optimiser, but also enhances Dual Sensing IS and Combination IS, which provide up to 5 stops image stabilisation for 30.3-megapixel stills and 4K UHD videos. Never miss a shot again with near instantaneous of 0.05secs AF, near complete darkness focus limit of EV -6, Eye Detection AF and 5,655 selectable AF positions, made possible with Dual Pixel CMOS AF technology. The ergonomically designed weather resistant magnesium alloy body provides reliability. 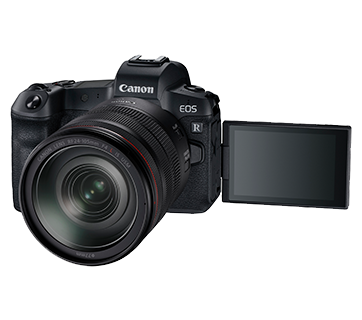 Coupled with the new customisable multi-function bar and Vari-angle touch-screen LCD, the EOS R would form a seamless union with you. RF24-105mm f/4L IS USM features an additional control ring on the barrel that could be customised to control exposure settings; shutter speed, aperture, ISO and exposure compensation, effectively providing better control especially while shooting through the Electronic View Finder. The control ring has a tactile, easily distinguished surface and features a clicking mechanism that provides tangible feedback during adjustment. 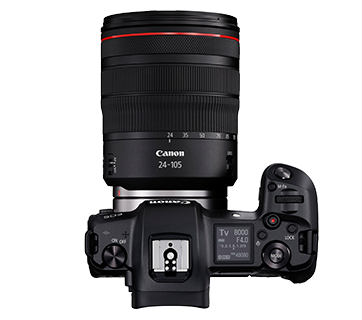 *For those who prefers a silent control ring during photography or video recording, the clicking sensation and sound of the control ring can be removed at Canon authorised service centre (chargeable). Available from October 2018. *Silent Shutter available in: Single Shot & Continuous Shot mode. 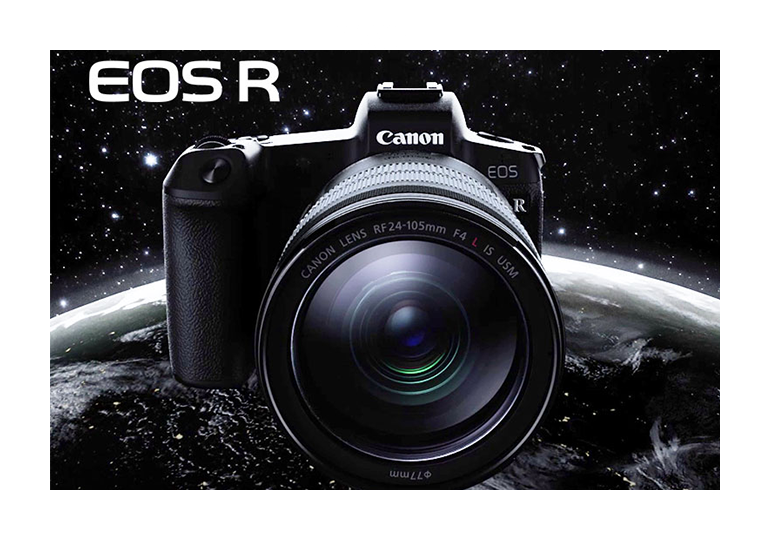 Explore the new possibilities with EOS R System. The only limit now is your imagination. 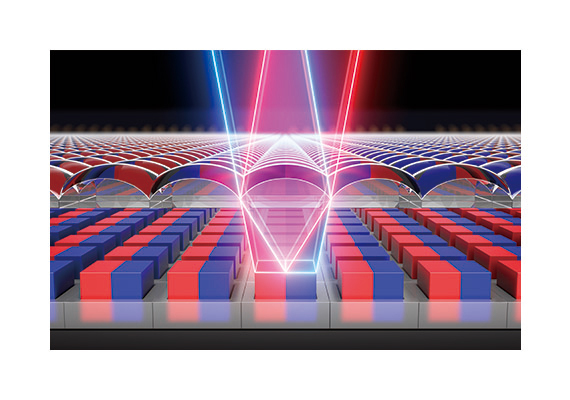 Dual Pixel CMOS AF, an autofocus technology in which each effective pixel on the CMOS sensor is able to perform both phase-difference autofocusing and imaging functions, Focus speeds as short as approximately 0.05 seconds. As many as 5,655 selectable points is made possible for greater composition freedom when shooting. Low-light focusing limit of EV-6 at the central focus point, able to focus even in low-light scenarios where it would be difficult for the human eye. The EOS R features Eye Detection AF, which can detect and focus on the subject’s pupil. The function is ideal for portrait shooting, which demands stringent focusing accuracy. 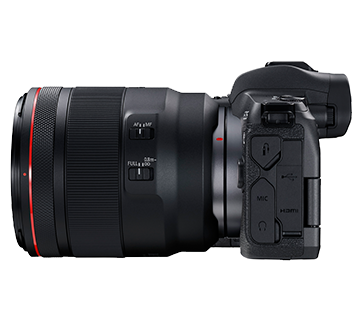 The EOS R delivers 4K (3840 x 2160 pixels) video recording and spports supports Canon’s proprietary Canon Log log gamma, which has proven results with the Cinema EOS System of video production equipment. Video captured with Canon Log delivers a great degree of freedom during post-shoot editing and processing and with color grading, rich video expression can be achieved through subtle details of light and shadow. 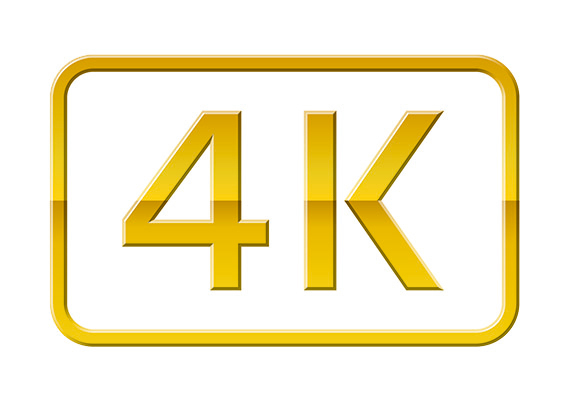 The EOS R can display of 4K video on external devices through a HDMI terminal. When using Canon Log, the camera can output video with a rich gradation (10-bit output) and a wide color gamut (next-generation broadcasting standard ITU-R BT.2020). 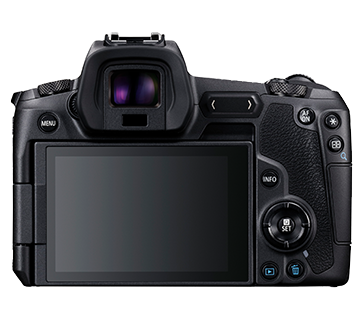 The camera features a multifunction bar on its back, an EOS-series first, that enables both tap and slide operations, allowing for easy changing of shoot settings and image transmission. It also features a built-in 3.96-million-dot high-resolution OLED electronic viewfinder (EVF) with approximately 100% coverage. Combined with such controls as the multifunction bar, a sub-electronic dial on top and the control ring on RF lenses allows users to adjust settings effectively while shooting without having to take their eyes off of their subject.